How Awesome is “Hover Junkers”? 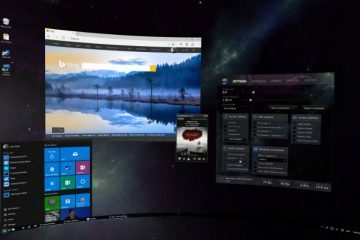 Oculus Better Get Jealous of HTC Vive! 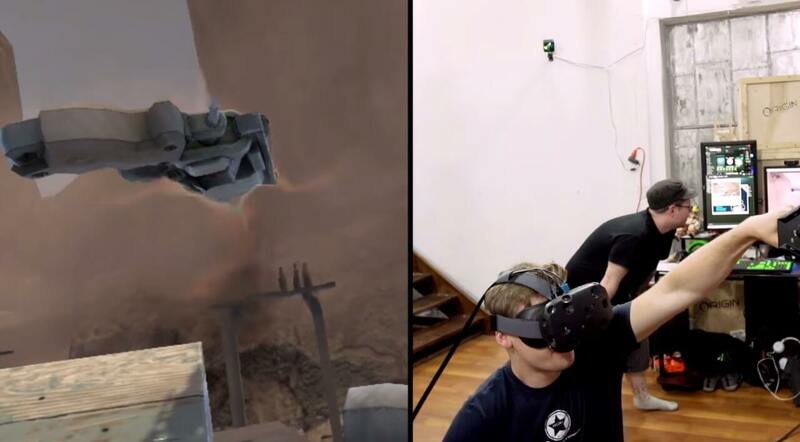 Now that HTC Vive is in the hands of the developers, a great number of games are being announced – A room scaled multiplayer flying platform VR game called Hover Junkers is one of them. *A note: Since the game is still in development, everything said below is subject to change! 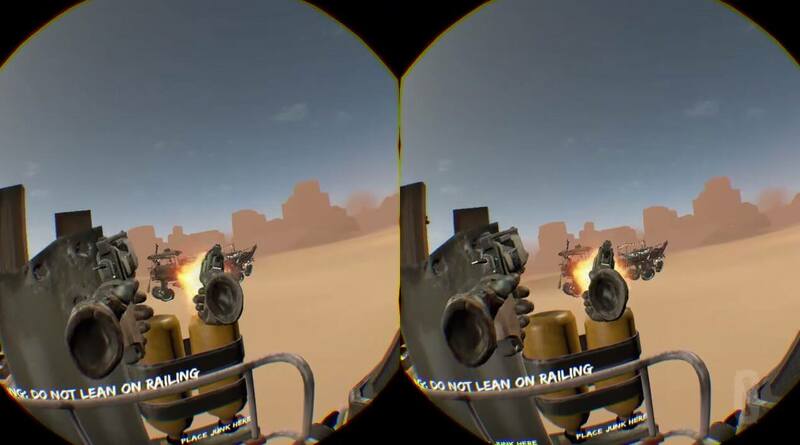 Hover Junkers is a game made specifically for VR. You cannot play it without the headset. It is set in post apocalyptic environment where you control your flying, or hovering, ship that can slowly travel between the maps and be fortified with items, depending on what you have at your disposal. The size of the ship you are going to get entirely depends on how much free space you have in your room. 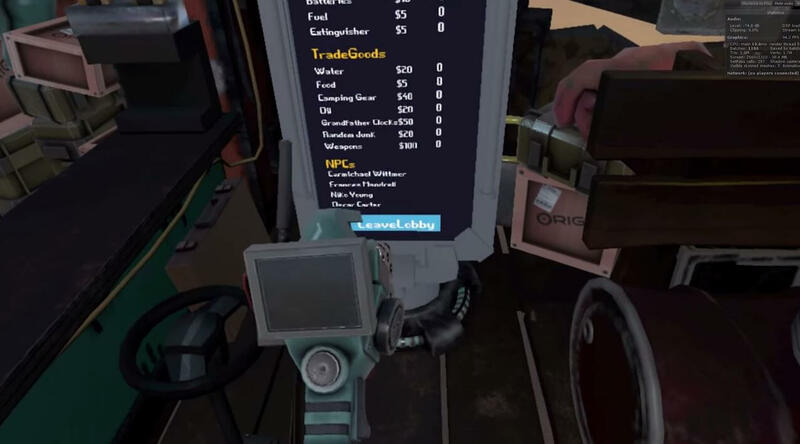 Using the controllers that HTC Vive has, you can equip all sorts of tools, carry weapons, pick up items to fortify the ship or use them to fire at enemies. How About Tracking and Controls? To move around the ship, you will have to physically move around the room. If you prefer to be seated, you will get a small seated ship. For players whose room is bigger than usual, there will be boundaries. You will hear loud wind blowing that silences all other sounds. If you are on the edge of the ship and you still proceed to walk further, you will fall off the ship and you will die. To avoid getting shot from other enemy ships, you are able to duck behind cover. If you place your covers well enough you can find some open spots from where you can shoot back at another player. “Tracking”, said by developers, “is so good that you don’t have to think about it.” Thinking about it already makes me impatient to get my hands on Hover Junkers. 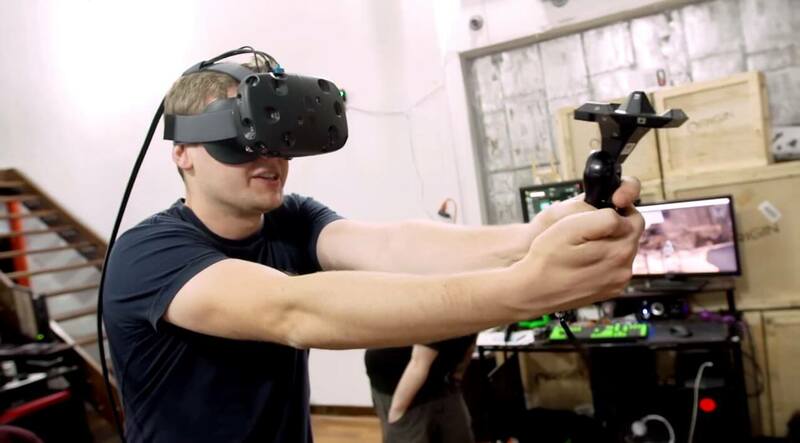 With the trigger on controller (probably the HTC Vive one), you are going to be able to “Point” (with hands), pick up/ place/ throw (with Gravity Welder), and fire weapons (with Revolver and Shotgun). With the TrackPad Click you can “thumb-up” someone (with hands), change other hand item (with Gravity Welder), unlock cylinder (with revolver), and unlock barrel (with shotgun). With the Squeeze you can fist/grab (with hands), Radio push to talk (with Gravity Welder), and fire flare (with revolver and shotgun). With the Trigger+Squeeze you can “Middle Finger” someone (my favorite feature), change radio channel with TrackPad Rotate (Gravity Welder), reload bullets into cylinder with TrackPad Rotate (revolver), and load shells into chamber with TrackPad Click (shotgun). Hover Junkers will have both singleplayer and multiplayer mode. Singleplayer is essentially going to be like a Oregon Trail. You will use your ship to travel from point A to point B while having different scenarios happening all around you. But what I personally am interested in is multiplayer. There aren’t many games out there that let you have a virtual reality experience with other players. Mostly because big companies haven’t released their games yet for VR, and are waiting for HMD’s to be released this year, and the next. 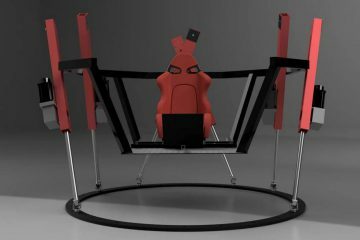 StressLevelZero – a company behind Hover Junkers- is on the same plate. They will release Hover Junkers somewhere in holiday this year. Around the time when HTC Vive will be released. 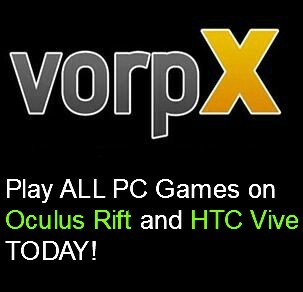 So it is safe to assume that Hover Junkers plans to be one of HTC Vive’s launch titles. If to talk more about the multiplayer aspect, you will be able to create both, private and public games. You can also join other players by finding them through search. You will have a friends list that enables you to join their parties. On top of all that, they are also planning to add some sort of matchmaking system. In my opinion it is a necessity since multiplayer games have a lot to gain from that. Ask Ark: Survival Evolved and H1Z1. If they could add something like survival of the fittest, I would personally be all over that. 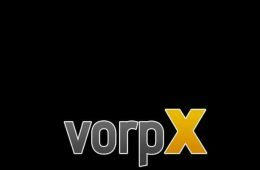 I am a huge fan of these kinds of tournaments in games, and blending it with virtual reality and its controllers could truly deliver an astonishing experience to players. Just imagine you holding a gun in one hand – a gun that is completely reliant on your real life aim – and holding a shield, or some sort of junk in other hand that stops bullets. My fantasies of these kinds of VR games are about to become true. What More Are We to Expect From Hover Junkers? 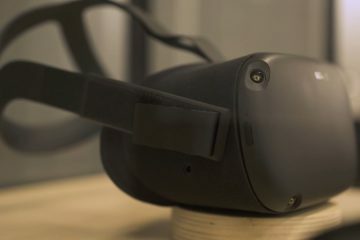 The devs have said that when they use HTC Vive controllers, they are able to use them for several hours with consistent use before needing to charge them up again. That, of course, might be subject to change once Vive is released later this year. Developers don’t plan to add a lot of weapons to the game since they think it doesn’t add much to the fun. On the contrary, it makes it hard to keep the game bug free. What does add to the fun, according to devs, is finding loot and using it to fortify your board ship. At this current moment there are only the revolver and the shotgun in the game. Flare gun is also coming soon. Maps on Hover Junkers aren’t big. Since your hovercraft is extremely slow, finding others on a big map would be unnecessarily difficult. Day and night system is with a gradual progression. The desert is going to be super bright with daylight, and the last map is really dark. Hover Junkers exact release date isn’t revealed yet, but is expected to be available at the end of this year, at the time when HTC Vive is released. 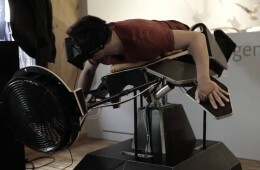 Will Hover Junkers work on Oculus Rift? It probably will, but not before Oculus Touch comes out. Since this game is purely focused on implementing the new VR tracking technology, it cannot work without one. 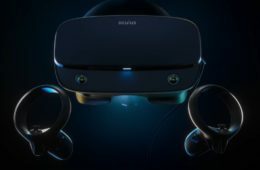 HTC Vive will have a lighthouse system when they launch, Oculus Rift will have the VR controller only months after the initial launch of the consumer version. In one of the Twitch streams StressLevelZero confirmed that they don’t have any exclusivity agreement with either parties, so this game is quite expected to work with other headsets, as long as they have a proper controller integrated into them. I am very excited to see how this game works out in the long run. 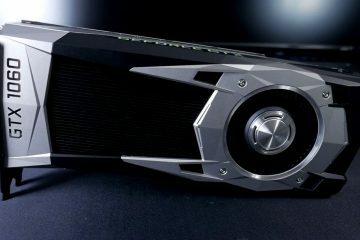 I hope frame rate is not going to be an issue, since it’s really something that might mess up the experience for others. Ask Ark: Survival Evolved again. The way how we play FPS shooters might be completely reinvented. 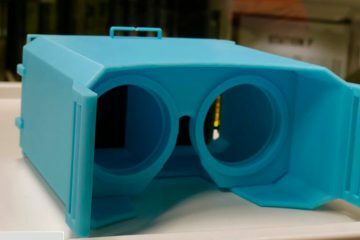 Sure there has been a similar technology in the market, but not with such a hype behind it like with virtual reality. Now you can finally use your shooting skills you have in real life in video games like these.